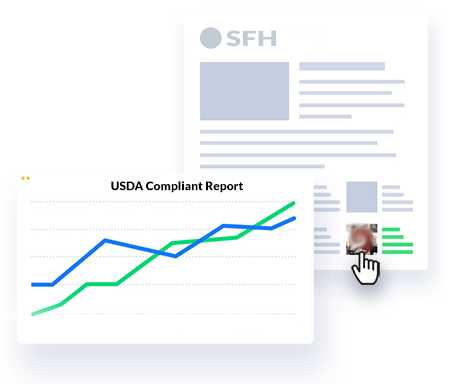 Click the blue “Let Us Help You!” button on the bottom right of this page and schedule a free webinar demonstration with our team. 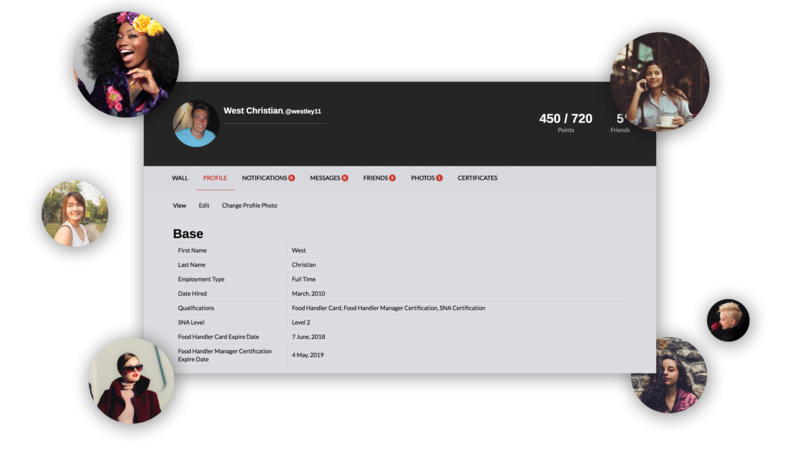 Send us your employee names and school information and our team will setup everyones profile for you. This means there is zero data entry required by you to get started. 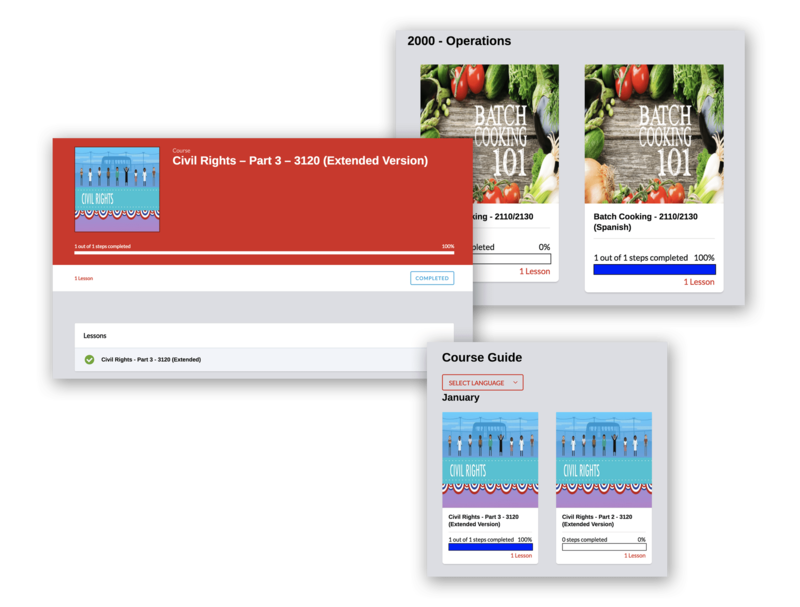 Assign trainings to your districts Course Guide by selecting from our extensive list of pre-loaded lessons. 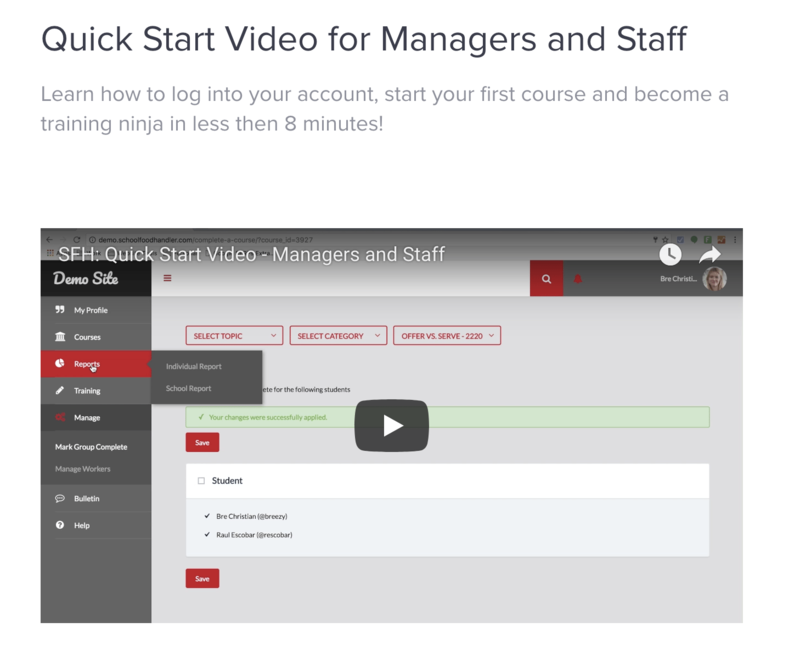 Send your managers and staff our quick start guide and training video along with their usernames and passwords. Sit back and let the Done For You School Food Handler system train and track your staffs progress!